PHILADELPHIA, PA – When Michael Anderson was a kid, friends used to call him Little Mike. At age 8 he discovered that there was going to be a talent show at the YMCA after school program he attended regularly, but at the time he couldn’t do anything special. He wanted badly to be in the show, so he got together with some boys who were going to rap and asked if he could rap with them. They gave him something to say, and he went home and developed those few lines into a rap. The show never ended up taking place, but the seeds of his career as a rapper were planted and Little Mike was born. It was a nickname he went by for many years, but as he began to become serious about music during his teenager years and learned more about the industry, he realized that he was one of many “Littles” out there in the world. He didn’t want to be just another “Little,” so he started brainstorming ideas for a stage name that would truly help him stand out. An idea sparked by a handheld video game he had at age 13 turned into the seed of something great, and today Topnotch is living up to his name by sending out top-quality music to the world. His new single, “Crazy Out Here,” is testament to the high-quality music he creates. Growing up on the streets of Philadelphia was tough, and this song shines a light on some of the things that go on in the neighborhood where he grew up – including a harsh look at the violence and negative behavior of so many people. It’s a song that he first developed the hook for many years back and only recently returned to in hopes of giving fans a more personal look into his life and his music. Fans can purchase the single by visiting iTunes, or can get a sample of it on Reverbnation or on YouTube. 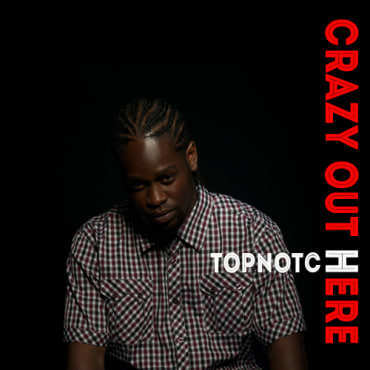 Fans can also find out more about Topnotch by visiting his website at topnotchphi.com. And to find out more about upcoming music releases or live performances, fans can follow him on Facebook.